As a phys-ed teacher inLos Angeles, Liz Barry, 22, teaches what she used to hate most. She grew up as the lone couch potato in an athletic family, often playing sick to get out of gym class in high school. 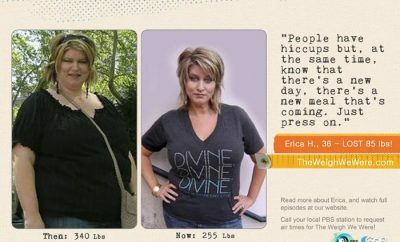 A fast-food drive-through habit piled weight onto her 5’10” frame until she hit 190 pounds at age 17. On Christmas Day 2004, Liz joined her family for a jog, but ran out of breath before she was a quarter-mile in. 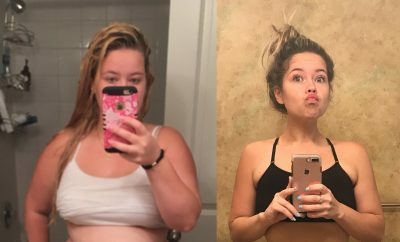 “It hit me just how badly I had let myself go,” she says. Liz typed up a weight-loss contract for herself and then posted it on her bedroom door. “Signing it made me feel more accountable,” she says. 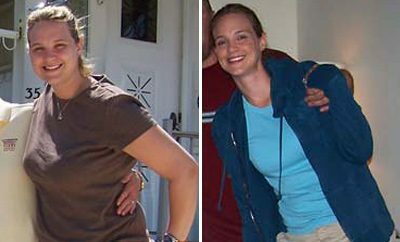 At first, Liz struggled to get in 45-minute sessions on a bike or elliptical at the YMCA. “When I wanted to skip a day, I saw those goals and knew I had to go,” she says. She also banished fast food, shrank portion sizes, and stocked up on healthy snacks. 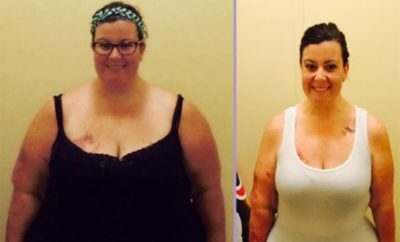 Liz lost 20 pounds within two months, then hit a plateau. She broke it by alternating between weight machines and the treadmill. Her goal was to wear a size-6 dress to her high school graduation…and she did. Since doing her first 5-K in 2006, Liz has worked up to running marathons. At the finish line of her most recent race, her boyfriend met her on one knee and proposed.